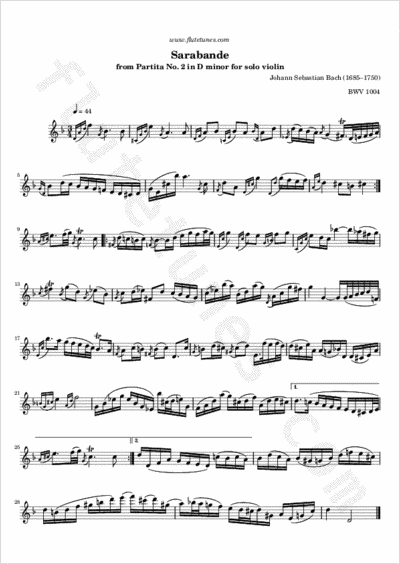 This is the third movement of Johann Sebastian Bach's Partita in D minor for solo violin, BWV 1004. Let us remember that the sarabande was originally a stately dance of Spanish origin, generally featuring accents on the second and third beats of each measure. In Bach's time, however, it was just a traditional movement of the Baroque suite, and was played much slower than the original dance. Moreover, as you can see, the late Baroque sarabande contains more written-out ornaments.